It is helpful to have a listing of places to purchase mushroom compost with details for each selection. While some big box garden centers sell mushroom compost, you can also find it at local plant nurseries, greenhouses, and online suppliers. Avoid expensive shipping fees by finding local sources for compost, such as a few big box garden centers, hardware stores, and farm suppliers. Many times, local nurseries offer a higher grade of compost than big box stores. The Just Natural Brand has a mushroom compost in its product lineup. You can find this organic and all-natural compost at your local Lowe's. Many are repeat customers who state they purchase this compost every year for their vegetable gardens. One reviewer used it to mix with grass seeds for sandy soil planting. "Consistent texture throughout all the bags I purchased. Mixes well with clayish dirt." One customer complained, "The compost itself seems to be of good quality, but every bag has lumps of clay in it." An organic farmer noted, "I am seeding and planting direct into Just Natural Organic Mushroom Compost." Garden center mushroom composts have a high salt content. The composts have already produced three harvests making it spent mushroom compost. High Mountain compost is heat pasteurized to eliminate contaminates like bacteria, bugs, etc. It is formulated to grow gourmet, exotic, and medicinal mushrooms. The compost needs to be kept cool at a temperature range of 50°F to 55°F. Price: Around $4.50 per pound (sold in 10 pound increments) plus shipping by USPS flat rate priority mail. Made in Eugene, Oregon, Rexius produces a range of gardening soils, amendments, and containers. The company sells to retailers and industry growers in bulk at wholesale prices. Filthy Rich Mushroom Compost is made by Rexius and sold directly to big box stores and individual nurseries and suppliers. This is a professional grower's grade of compost. 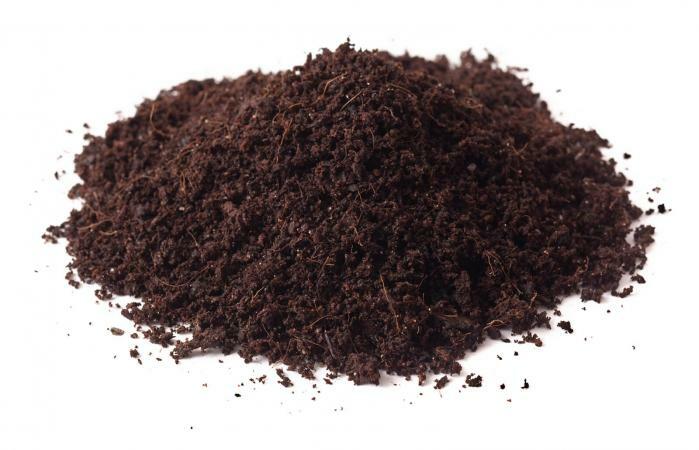 The compost is a blend of Canadian sphagnum peat moss, composted bark fine, pumice, compost, feather meal, fish bone meal, ground oyster shell, and kelp meal. It can be used as a general potting soil for containers, patio gardens, and more. True Value sells this compost in 30 pound bags online, but you'll need to pay the shipping costs. Gro-Well Brands Inc is known for its organic garden products for lawns and gardens. One of its brands is Garden Time. It offers a mushroom compost that can be used as an all-natural gardening amendment for any planting beds for composting plants and vegetable gardens. You can typically find this brand of compost in Walmart stores in the garden section. You may need to check regularly since it doesn't stay on the shelves for very long. If the product is out of stock, be sure to sign up for an email alert when it is again available. Black Kow is another brand that is recognized and can be found in big box stores, such as The Home Depot, Lowe's, True Value, Ace Hardware, and independent local nurseries. This compost is once spent, meaning it was used once to grow mushrooms, and the soil was then composted and bagged for home gardeners who don't need the soil in its original nutrient form. The compost is still rich and can be used in vegetable and flower beds to amend the soils. Use this compost to build nutrient-rich soils. You can mix it with whatever soil is in your raised beds or field garden. Price: Buy it at BFG Supply Co. It's about $12 for 40 pounds. If you know what brand of mushroom compost you want, then you can contact local big box garden centers and independently owned local nurseries to get pricing. Getting the right kind of compost for your garden can boost your crop yield while enriching the soil in your garden.